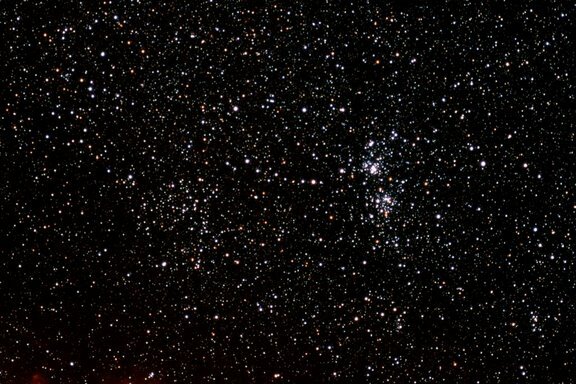 Double Cluster and Stock 2, the 2007 Okie-Tex Star Party (Astrophotos from the University Lowbrow Astronomers). This photograph was taken by Doug Scobel at the 2007 Okie-Tex Star Party. Exposure: 200 mm f/4 20 minutes.